We have a hands-on look at the new Kodak Pixpro 3D Pivot - A 360 camera, that is shockproof and waterproof. 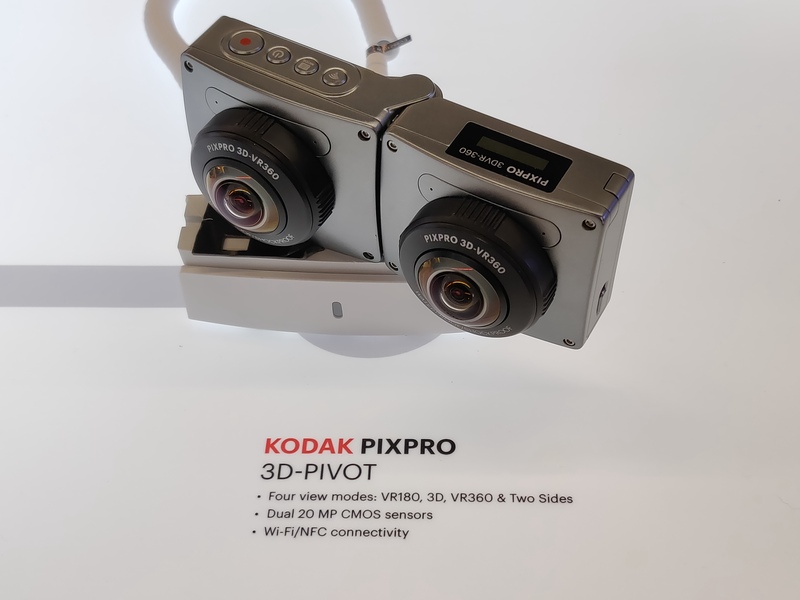 The Kodak Pixpro 3D Pivot camera offers VR180 and VR360 photography, as well as 3D photography, with dual 20mp BSI CMOS sensors. The camera has built-in Wi-Fi and NFC, and is shockproof, waterproof, dustproof and freezeproof. The camera takes MicroSD cards up to 256GB, and there are a number of different video modes available, including 4K video recording. Kodak are showing the camera, along with the new AZ1000 at Photokina 2018.